Hey QlikView - If you were the best tool, I would have chosen you! Earlier this week several people sent me a slide from a sales presentation from QlikView. In the slide, QlikView used a quote from me, my image and my name without my permission. (NOTE: Please see update at the bottom of this post.) The quote was in reference to a poll I ran (which I've since taken down because I wanted to stop the voting) in which I was critical of Tableau's performance. Apparently QlikView is using this quote as a competitive weapon against Tableau. QlikView has sent this to multiple customers in an effort to impact sales. I can think of only one reason why QlikView would do this: Tableau must be killing them! QlikView is obviously grasping for straws. While I'm sure Tableau is having to do some unplanned firefighting, they might see this as a compliment. Only competitors that are getting their asses kicked would resort to these tactics. 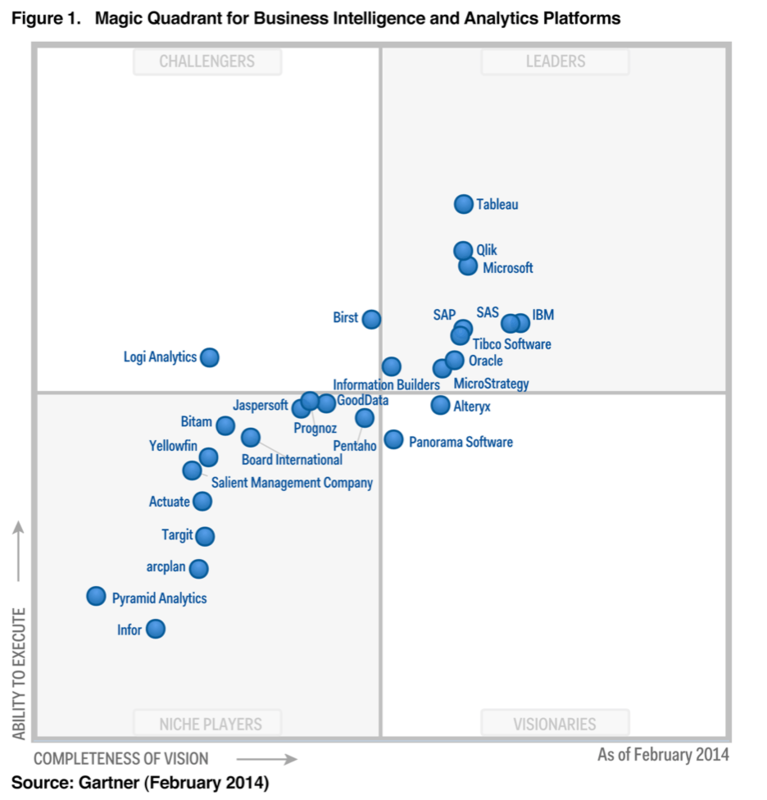 All you have to do is look at the latest Gartner Magic Quadrant to see that Tableau is the leading platform. I like to tell Tableau, and I know many other people tell them this too, that we chose them because they are the best end-to-end solution on the market. But they need to be aware of complacence. If another tool comes around that better meets my needs, you can be sure that I will switch. In the end, I want a tool that makes me look good. Performance remains my #1 concern with Tableau. Tableau is not an exclusively in-memory solution like QlikView, so Qlik comparing their performance to Tableau's is not an apples-to-apples comparison. 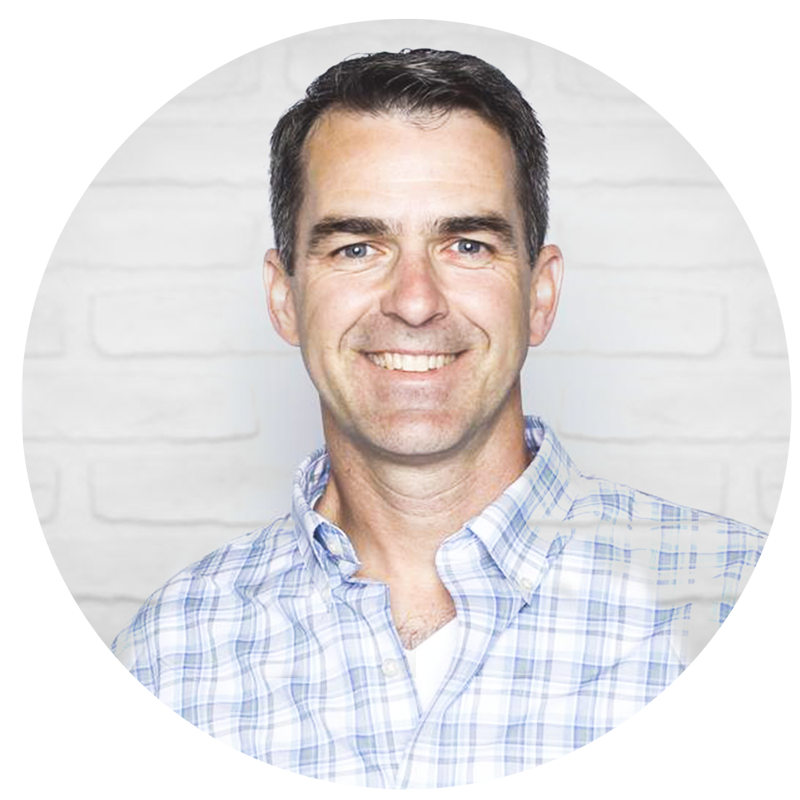 I like to tell the Tableau execs that if they can make Tableau fast for data at Facebook's scale, imagine what they can do for the more typical customer. I am extremely confident that Tableau is listening and are actively working to address my performance concerns. One of the reasons I respect Tableau, its management and its employees so much is that they would never use anything I say without asking my permission. Tableau has quoted me quite often: on their blog posts, on their website, as part of ads, in sales presentations. But Tableau has asked permission EVERY SINGLE TIME. I have never seen an example where Tableau has acted in the manner in which QlikView has. I chose Tableau because it's the best overall data visualization tool on the market.QlikView, I didn't choose you because you simply can't compete. If you want to win, make a better tool. Tableau listens unlike any other vendor I've ever known. They care about their customers. Customers drive feature development. Two great examples of Tableau listening to their customers are: (1) the upcoming Mac client and (2) the Apply button on multi-select drop-downs. I personally worked with Tableau to help create the Apply button, which they initially called the “Andy” button internally. They took the time to personally reach out to me and gather my feedback and showed me prototypes along the way. Tableau has a community of users unlike any other product I've used. If you've ever been to one of their conferences, you know what I mean. If you haven't been to one, you must go. Tableau's forums are completely user driven. If you ever have a question, ask on the forum and you're all but guaranteed to get a high-quality response...for free! There are people like Joe Mako and Jonathan Drummey that hold working sessions with users to help them learn. I write this blog because it's a way that I can share with the community. The number of wonderful Tableau bloggers is astounding. Do you ever hear of other vendors having their users promote their product like Tableau's users do? I think not! They have a mission and vision that matches my own. I've spoken at four Tableau Customer Conferences with two more planned this year. I've spoken at their annual company meeting. Why would I speak on their behalf if I wasn't their biggest advocate? Without Tableau, there's no way I would be working at Facebook. I have some incredible success stories from my days at Coke (like using Tableau with buyers and making $30M in 10 minutes). And the success stories have continued here at Facebook. I'm disappointed and saddened by QlikView's behavior. If anyone knows who I can contact to get them to stop using my name, my image and the quote, I would greatly appreciate it. They didn't ask permission and I don't like how they're using me to market their product. If there are any companies or customers that are seeing this slide from QlikView and it's making you question which tool you should use, then consider why they would be resorting to such tactics. Only companies that are playing catchup behave like this. Think about why they would do this. Question their sales staff. I've always been more than happy to talk about the pros and cons of BI tools as I know them. If you are a prospective customer comparing QlikView and Tableau and have any questions, feel free to email me. I'd be more than happy to answer any questions you have. 6/6/2014 - I need to recognize Maria Scurry from QlikTech for being so responsive to my concerns. Maria left a comment shortly after this blog post went live. In addition, she has been very responsive to my emails and she has confirmed that she found the source of the slide in question and it will not be used publicly or internally from this point on. You hit the nail on the head with regards to the Tableau culture - both the company and the user community. I've never seen anything that comes close to either in enterprise software. Claiming that performance comparisons aren't apt because one system uses in-memory and the other doesn't is ridiculous, it's called superior technology. Thanks for the reply! Any particular reason why you didn't leave your name? Maria, I have sent you a personal email that I would appreciate a response to. Thanks! I ready your original post, which was far more accurate than this version. Taking 5x+ the amount of time as other solutions to draw visuals is unacceptable. When accounting for the amount of wasted time for a company the size of Facebook the results are astronomical. I'm not sure why you seem to feel this is a good thing instead of inefficient, wasteful, and costly. With any tool there are tradeoffs. 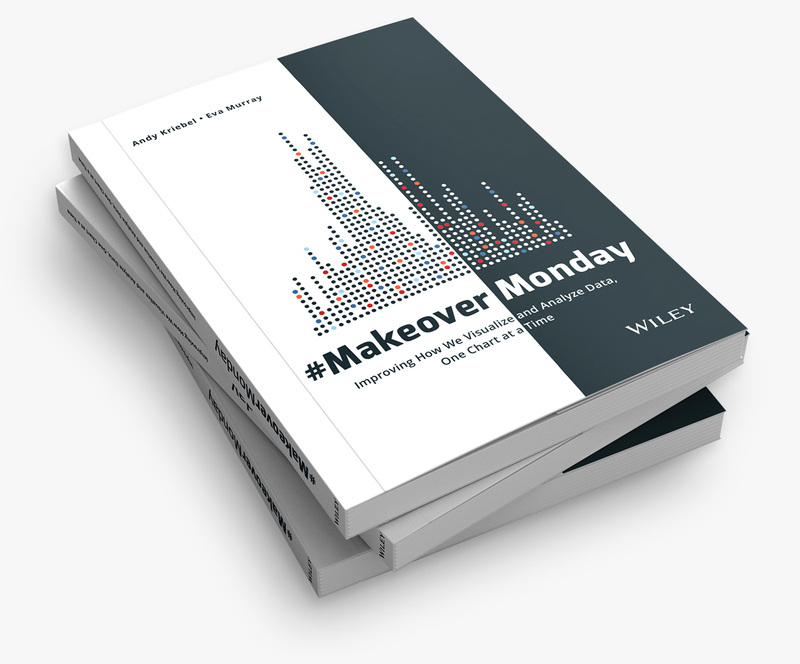 With Tableau, I trading off some performance for usability and speed to develop. No other tool comes close in that regard. Andy, interesting post. I thought you might like this Tableau Public example which charts the rise of Tableau in the Gartner BI Magic Quadrant (along with all other vendors) - from 2007 through 2014 (I'm sure I will update it at the start of 2015 too!). It would be nice if you could leave your name for a bit of authenticity. Firstly, I still believe Tableau should prioritize performance over any other feature development and I've made my concerns directly to their management. Like I said in an earlier comment, no BI tool can do it all perfectly. Each specific customer has to determine their priorities and choose a tool based on those priorities. In my situation, I'm willing to sacrifice performance for the ability to build great visualizations quickly. For other, perhaps performance is more important and maybe they would make a different choice of vendors (which I have no problem with). As for being scolded by Tableau Execs, you have no idea what you're talking about, so don't make assumptions. I have not been contacted by any Tableau execs about this. I write on my own and the opinions expressed are my own. I'm disgusted with Qlik's behavior, which prompted my reaction with this post. As for the poll, there were 360 responses, with 290 (or 81%) in agreement with my statement. I shared this sentiment with Tableau so that they would know I'm not the only person complaining. They are coming out with a desktop version. Very interesting. Thanks for sharing John! I understand and agree with your point re QlikView quoting you. Bad sales tactics, especially because both products are very different. But "which I've since taken down because I wanted to stop the voting", this is pretty disappointing from you. I voted and I was hoping you would share the results with us and you said you would have the opportunity to discuss this with Tableau, now I guess Tableau asked you to take it down. Tableau does need parallel processing, we know that, the more we are asking them to make it happen, the better the product will be. Removing the discussion because QlikView is using it does not help. This is a real problem, this is an unacceptable as you previously said. Steve, I responded above about the poll. Tableau absolutely did not ask me to take it down. They have never asked me to take any polls down. Hopefully this link works for the poll results. Results not presented in Tableau Public?! :) Send me the data and I'll do it for you!! thank you Andy. There is something I feel like I need to say. I honestly was a bit disappointed with your post. Believe it or not, my wife works for a company that uses both Tableau and QlikView (and also Cognos), because they address different needs. Pointing out the Gartner Magic Quadrant to handle this situation is a mistake IMHO. Customers have needs and business problems they need to solve. In your case and in mine, Tableau is a better fit, in some cases QlikView is. You did not make the decision to use Tableau because of their position on the Magic Quadrant, why do you bring that up ? (this makes it sound like Tableau asked you to do so - sorry to say). I think you wrote this blog post because you were angry, and again - I 100% understand - but I think you should revisit it with the eyes of a customer. You are a Tableau Zen Master, you have visibility and credibility (but on this one post - sorry), I think you need to be more careful about what you post. That s all I have to say. Thanks for your contribution in the community, always greatly appreciated. I hope I run into you at the next Tableau conference, I am going this year ! There's not really any data. It only provides the two numbers Yes = 290, No = 70. Thanks for the additional feedback Steve. My point for including the Gartner Magic Quadrant (which btw, I don't put a whole lot of weight into myself), was to show that Tableau is ahead of QlikView. Many people that don't know much about BI use this report to make decisions, which drive sales, etc. Certainly, the PRIMARY reason Qlik behaved like they did is because they are losing. Behavior like this comes from the top, so I don't necessarily blame the individual sales people at Qlik for using it (though they should know better), using this slide across multiple customers was clearly a sales strategy, which comes from upper management. I haven't heard anyone yet say that what they did is not despicable. thanks Andy. Make sure you have the rights to publish the Magic Quadrant, I am not sure this is public domain, I certainly don't want you to get any trouble. I pulled it right off of Tableau's website. Steve, every vendor that's in Gartner buys their way into it. The only way to be included it to pay Gartner to include you. Quite the racket isn't it? Is anyone also aware that qlikview will change everything from the way it works now? This change is huge and is bad news for huge Qlik community. Y would u do something like this if not out of desperation. I'm with Andy on this one and he has a right to peeved. Now from my perspective Tableau is first and foremost about the business user and nothing else addresses the needs of the business user like Tableau. I know. I was in that seat. I've been a Tableau user for about six years but I'm just finishing my sixth month as a Tableau Server administrator. Sure I've seen some warts on the enterprise side. No doubt about it. But I've also trained business users on Tableau who are about as technical as a shoe and watched them build and maintain beautiful interactive dashboards for themselves and their departments. When I bought Tableau it was Tableau vs. Qlikview and Tableau won because is was better for me the user. I continue to evaluate and demo Qlikview and I haven't changed my opinion. Tableau is only 10 years old and they are growing up fast. They will continue to close gaps quickly. It's about the business user and the business user still wins with Tableau. Does anybody believe Spotfire can be contendor? Many business are choosing between Qlik and Spotfire. I rarely hear of people choosing between QlikView and Spotfire. It's usually one of them vs. Tableau. It's like some of these BI vendors are back in high school - resorting to rumors, treachery, and name-calling to avoid looking uncool or unpopular in front of their friends (i.e. existing customers) and potential followers (i.e. prospective customers). Maybe that's just the lamentable nature of some folks in sales & marketing. Lol. In any case, I really enjoy reading your blog posts - keep up the great work, Andy. Andy, reading your posts almost make me cry! I am still fairly new in Tableau and I can tell you honestly it is customers like you that kept pushing us to not be complacent. We are as sincere internally as we do when client facing to continue our pursuit of excellence. Why should we put lower priority on areas that are critical to our client's success? Tableau is quite different that sometimes people are trying to use it in conventional ways that causes performance issues. I hope Alan's updated white paper on Designing Efficient Workbook would help address some of the concerns? Alex, I have not seen that whitepaper. Do you have a link to it? Also as a QLIK employee I must also apologize. Sometimes sales gals / guys look for a quick fighting words to post in the battle around technology. I hate selling technology. I focus on value. One of the points I try to make when I present around why I choose Qlikview (as a partner previously) when I was adamantly AGAINST Qlikview for so many years (being more than a decade with SAS, loving Spotfire, loving Tableau - while in Asia, Latin America - and ultimately when I realized that Qlikview was a Big Data app platform. eg. it didn't answer one question with a Qlikview app - it answerered thousands) that's when I just became proud - that look at that last statement... Did I mention Oracle? Did I mention IBM? Did I mention SAP? No. Notice that in the last 5 years - the Davids are winning against the Goliaths. Also traditional BI is evolving to Data Discovery / Big Data apps. And this fracturing into Business Discovery (internal facing) and Consumer Facing (external) apps... So it's exciting to be here at this time and place - as the evolution is on. And fighting merely on technology is a cop out. Fight on the insight that is brought inside your organization and the data transparency you can allow to all your customers, consumers. Parting words - see my presentation where I talk about the fight between the "stack vendors" and the likes of the disruptives (Tableau, Spotfire, and Qlikview) - here - http://goo.gl/FxyIJy. Keep blogging! Love the posts. Hi Andy! I came across an example like this in a Spotfire sales demo. They said the creators of Spotfire had authored many books... and they listed Edward Tufte's "Visual Display of Quantitative Information". I questioned them on it and the "technical guy" said the book was written by Stephen Few. I was amazed at their ignorance and wondered what Mr. Tufte and Mr. Few would think! I understand your disappointment in being quoted out of context and without permission. Unfortunately it happens more often than we think!